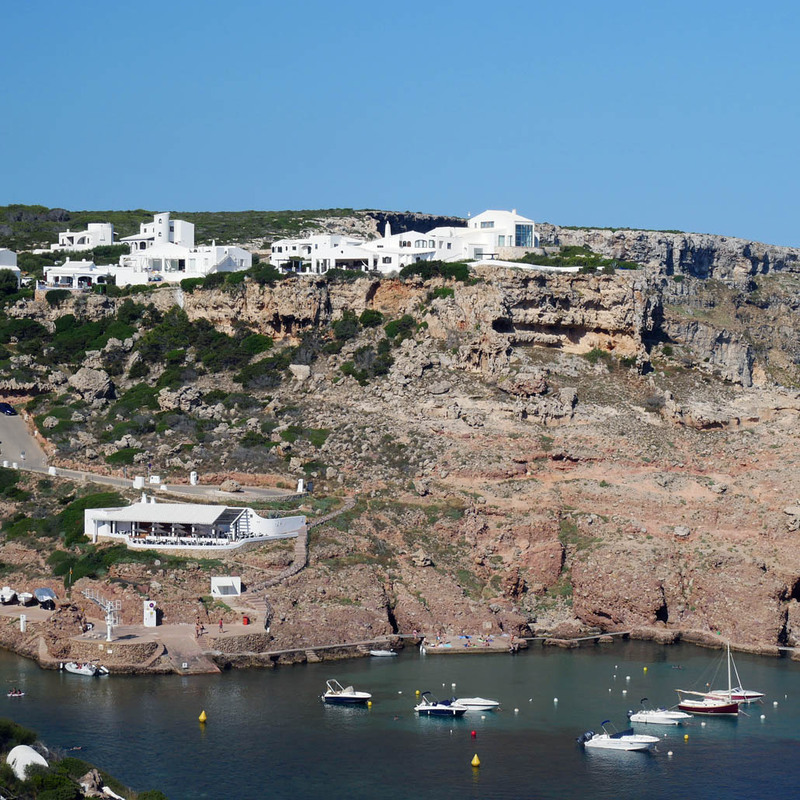 Located in tranquil Cala Morell, 10 minutes drive from Ciutadella, the charming former capital city Menorca, this quaint and quirky villa offers a peaceful holiday base just 15 minutes walk from the resort’s small sandy beach. 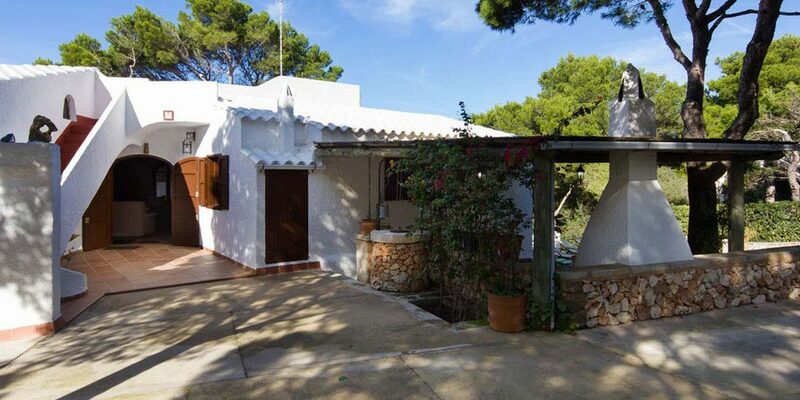 There are two entirely separate levels to the house, linked by an external staircase. 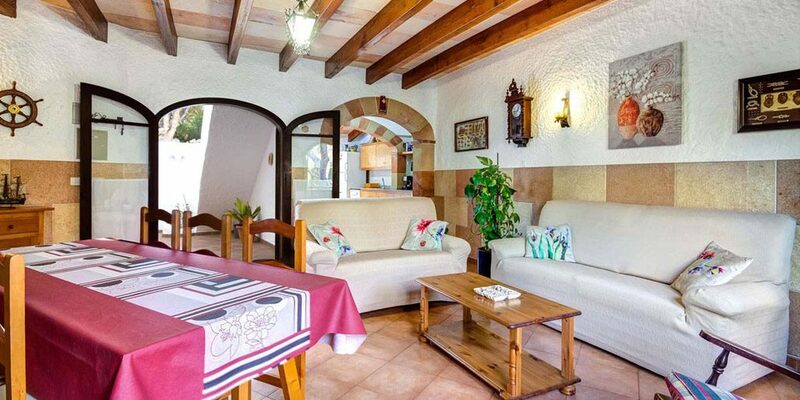 The main living/dining area is on the upper floor; comfortably furnished with settees and a dining table. 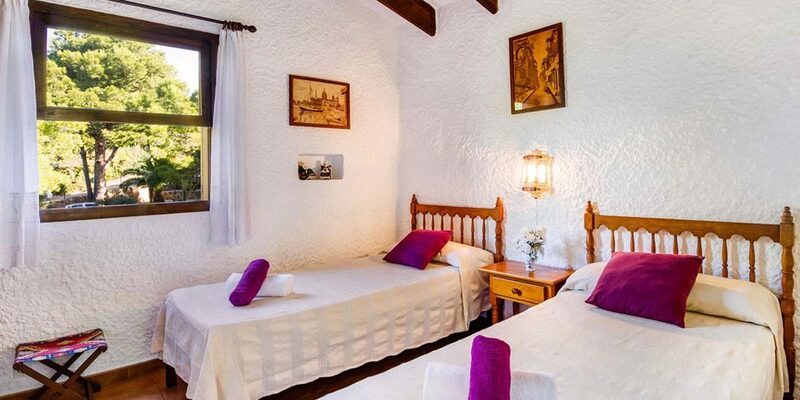 Here you will find the TV, offering mainly foreign-language channels, and a DVD player. 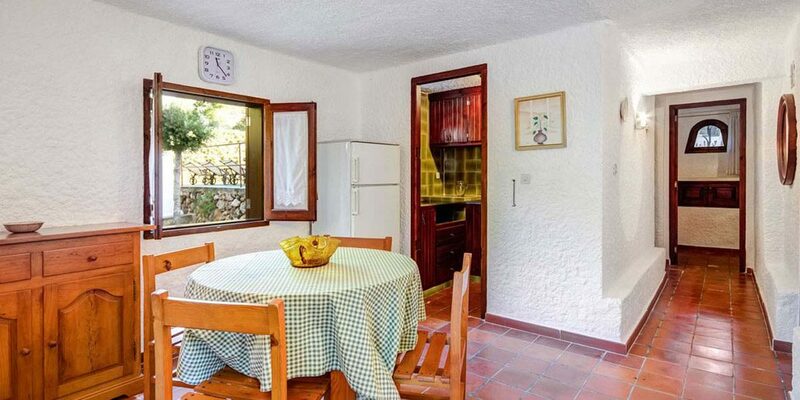 There is a large and fully equipped kitchen adjacent, with fridge/freezer, oven/hob, dishwasher, washing machine and plenty of self-catering equipment besides. 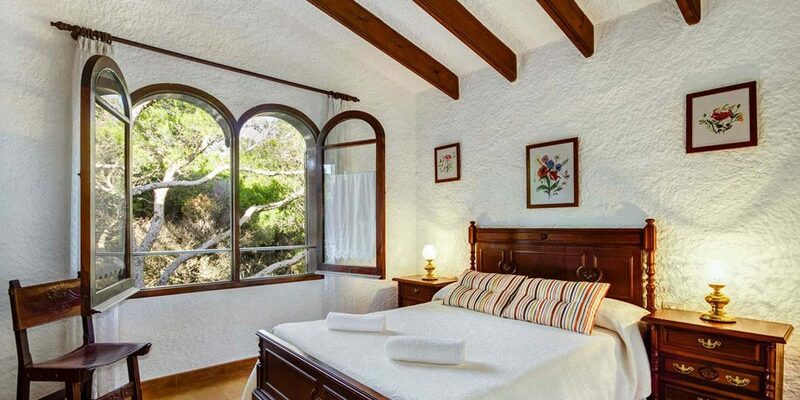 There are three bedrooms on the upper floor – one with a double bed and two with twin single beds; they share two bathrooms. 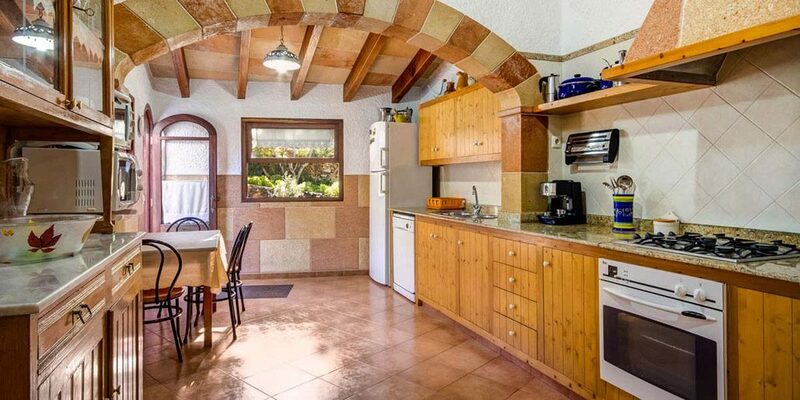 On the lower floor there is a further small kitchen and breakfasting area, as well as two twin-bedded rooms and one bathroom. 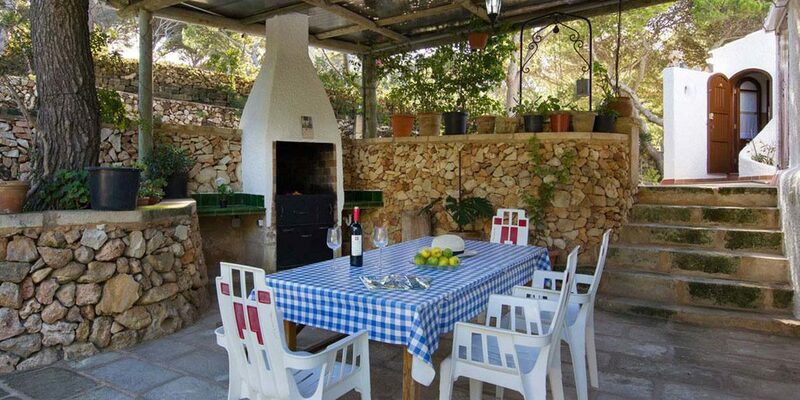 Outside there is a large covered dining terrace under which to shelter from the midday sun; the ideal spot for evening barbecues also. 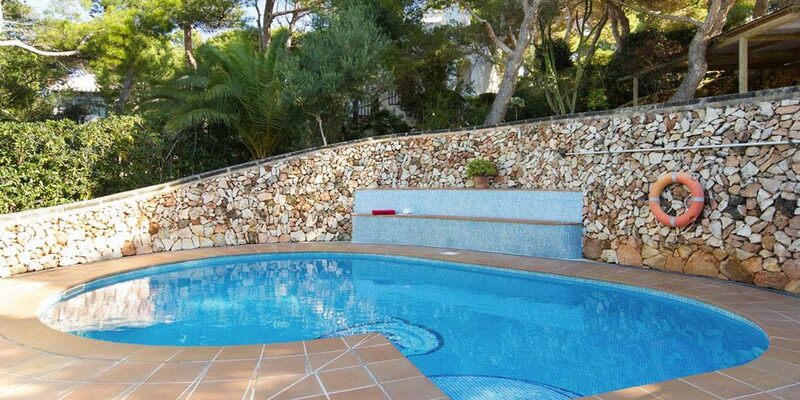 Just beyond is the kidney-shaped private pool, which has roman step access and is surrounded by pleasant terracing and which offers ample room for sunbeds. 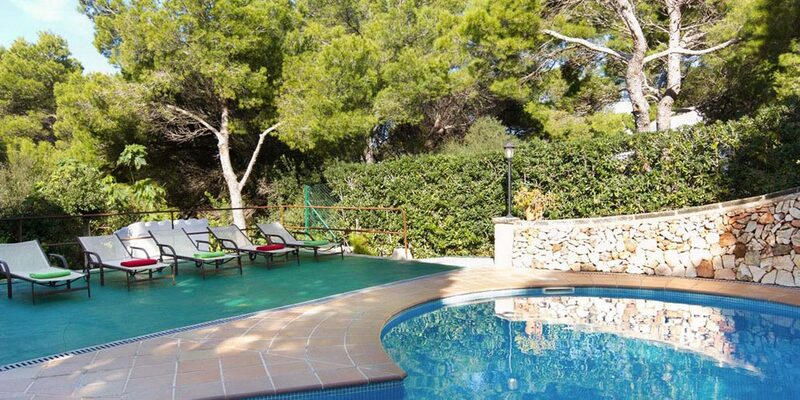 There is plenty of off-road parking space and the villa has wifi internet throughout. 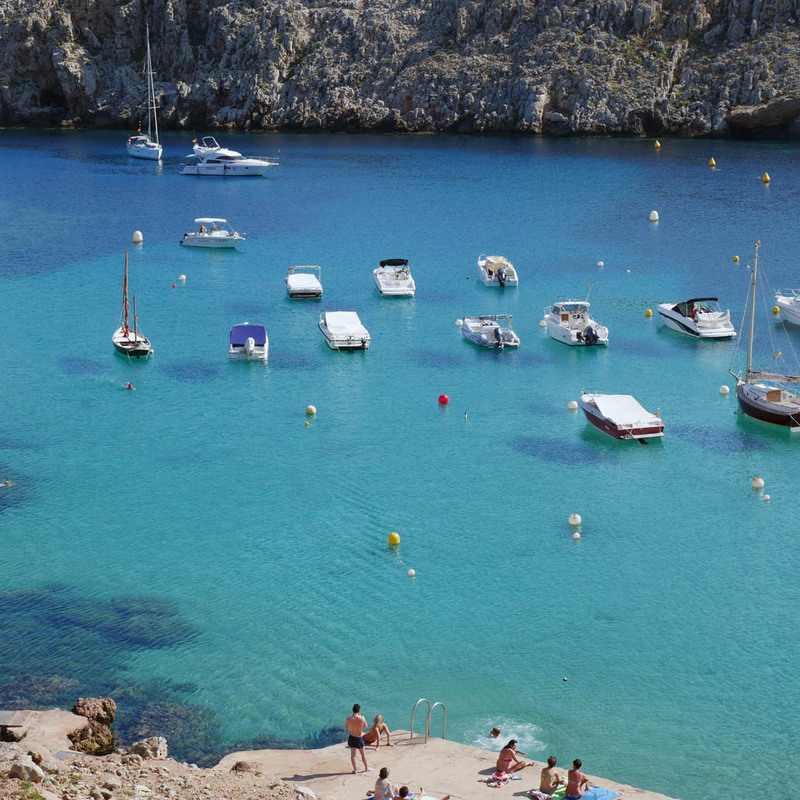 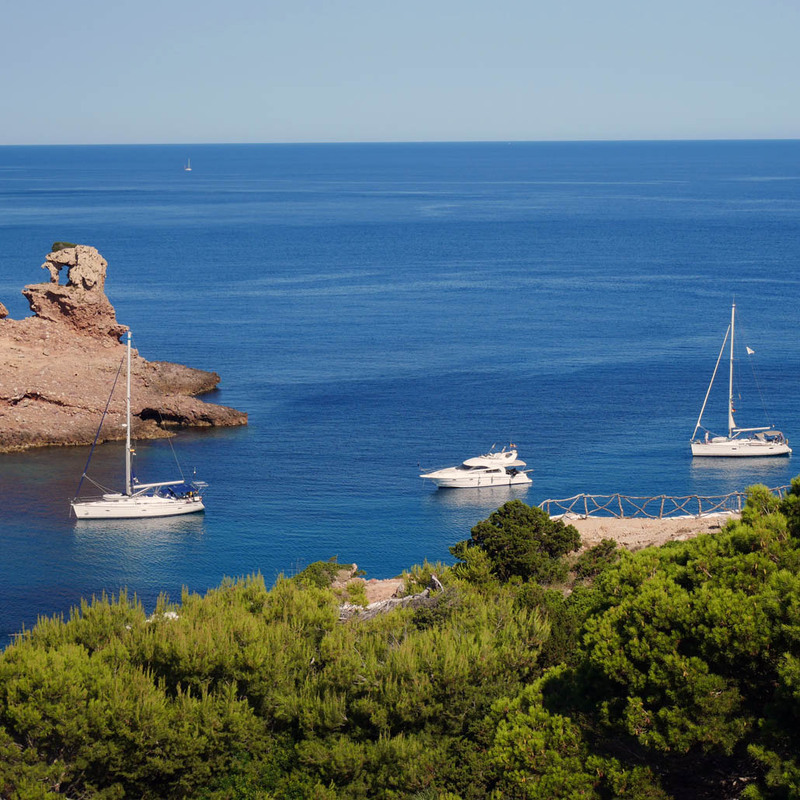 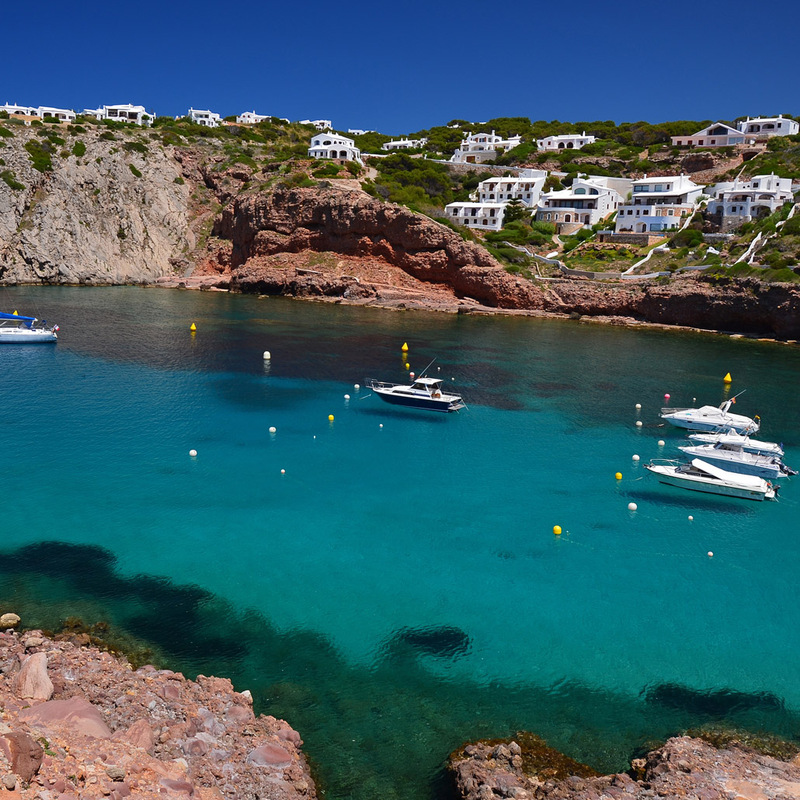 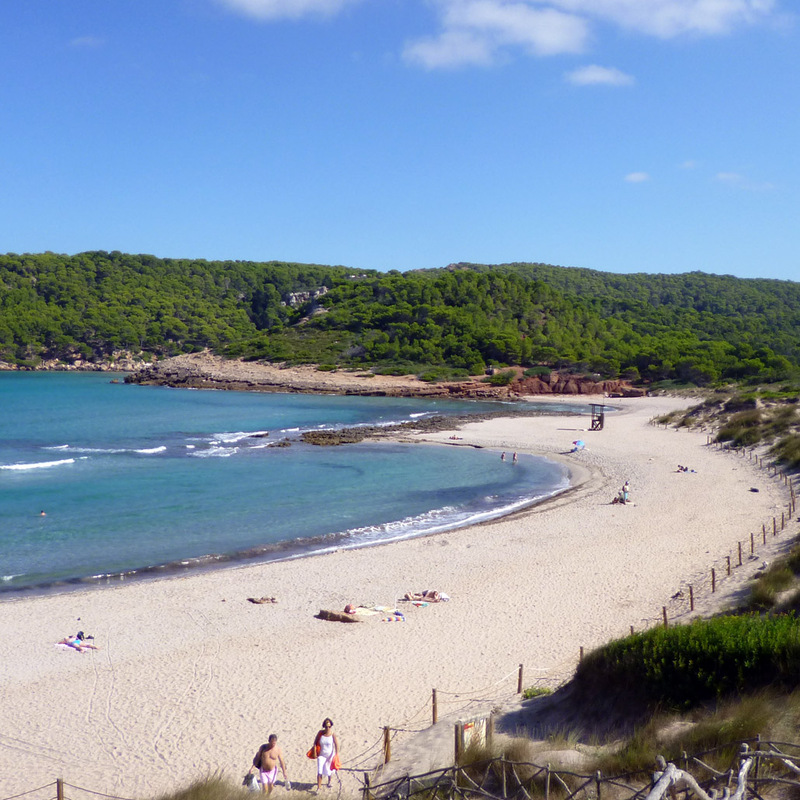 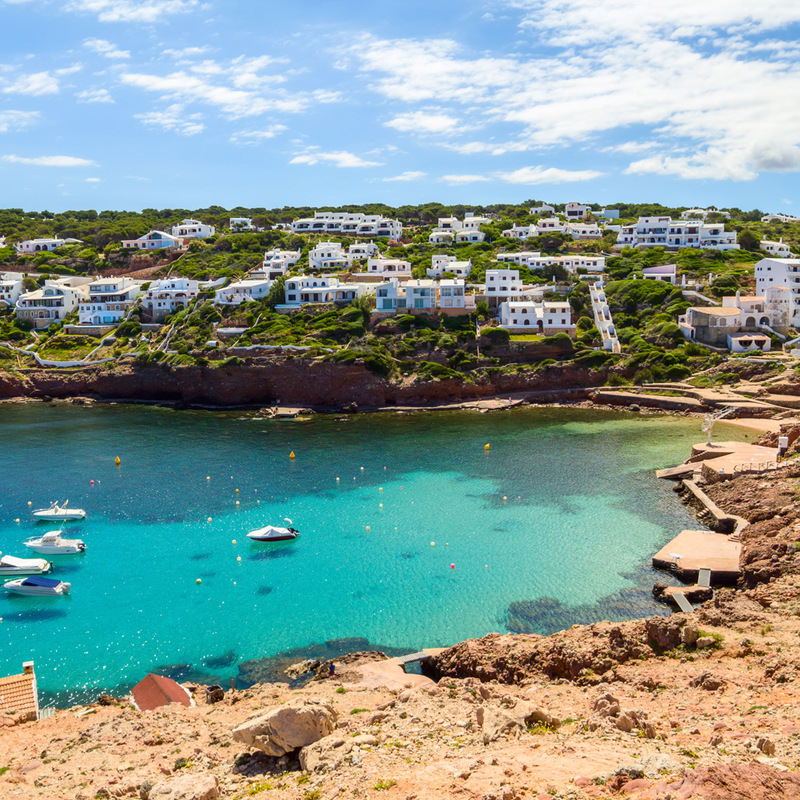 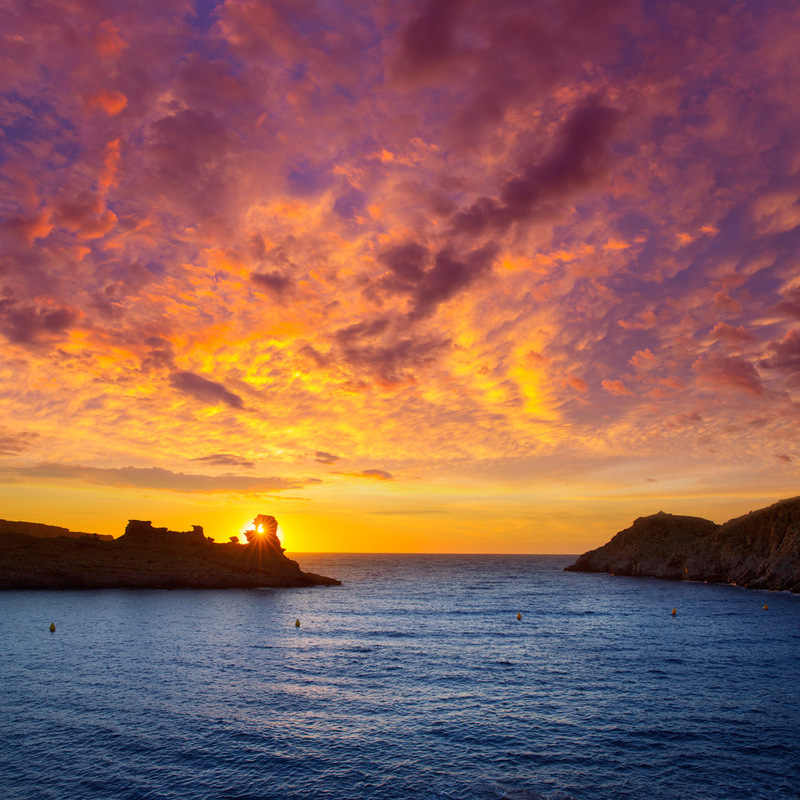 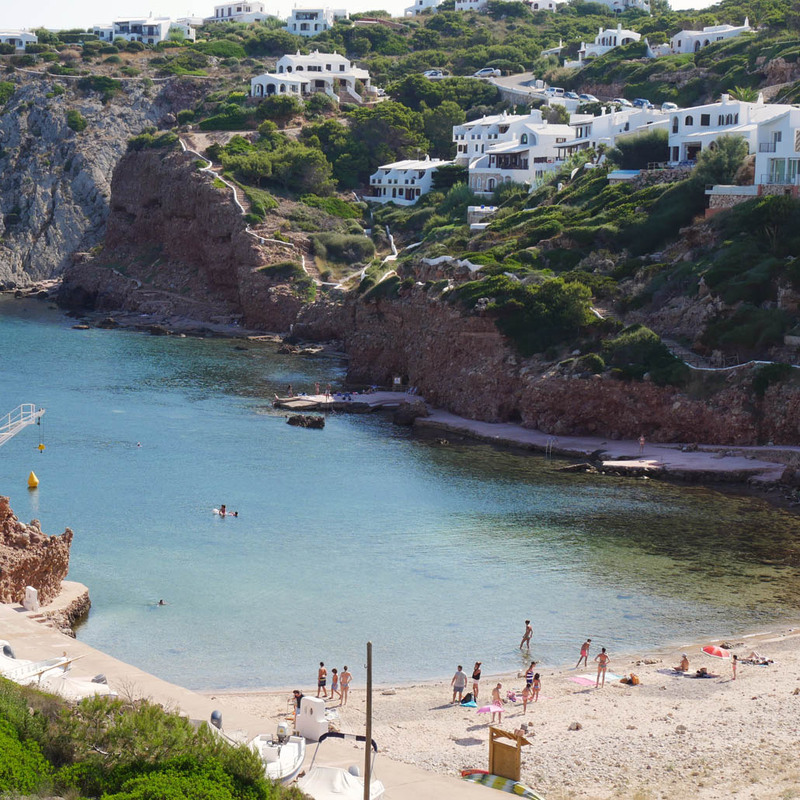 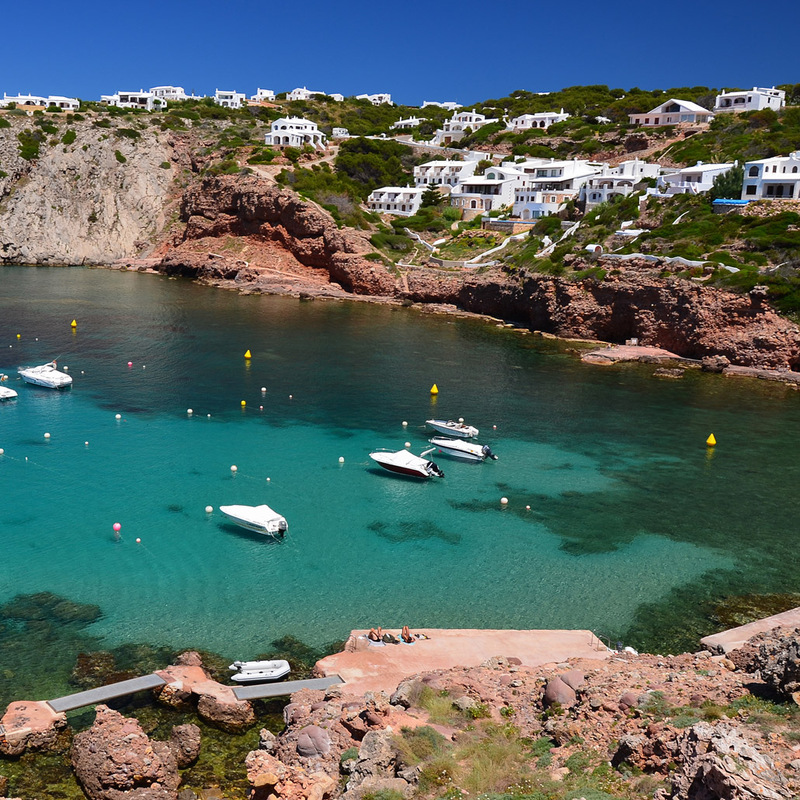 Though Cala Morell beach and the popular Troglodita’s restaurant are within easy walking distance of the villa, the nearest proper supermarket is a 10-minute drive away on the outskirts of Ciutadella, so a car is considered necessary here. 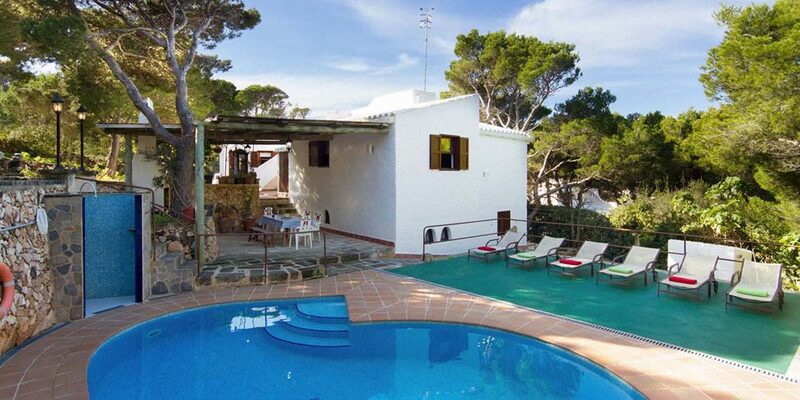 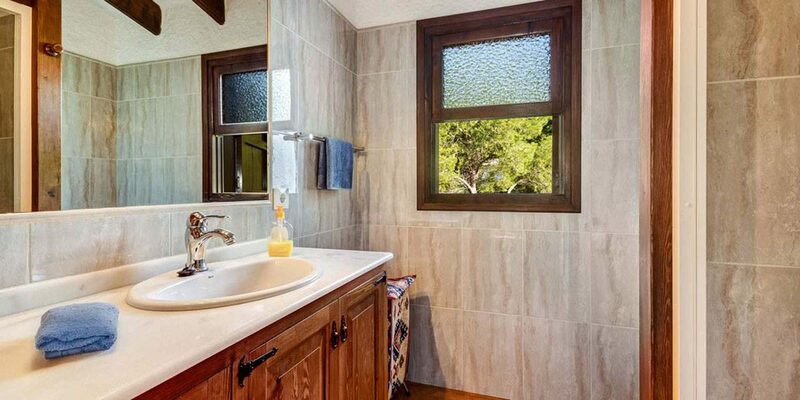 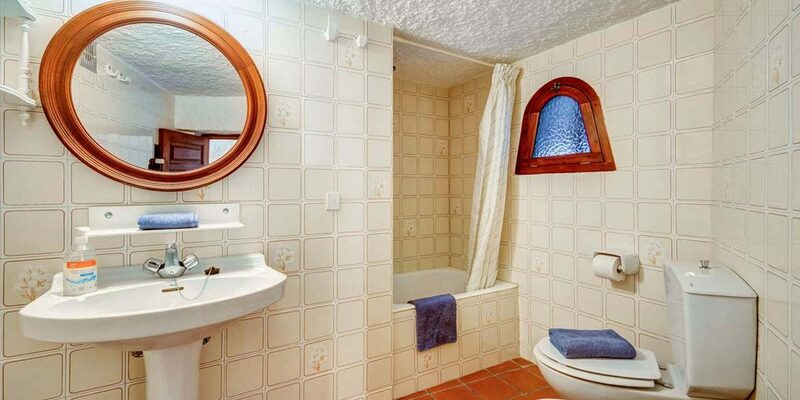 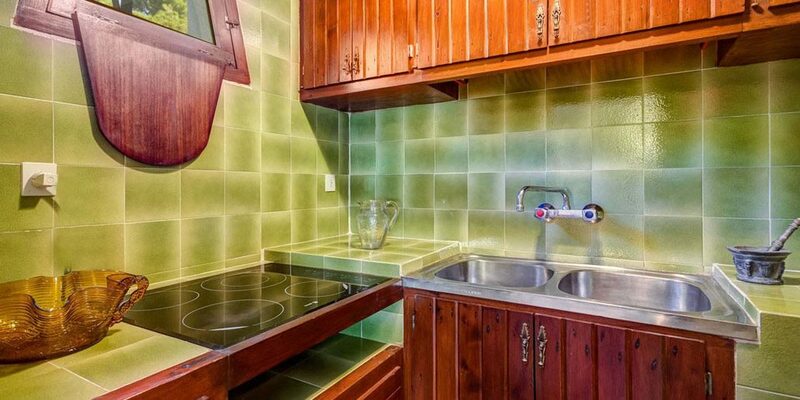 Prices quoted above are per property per week (seven nights) for up to 10 occupants. 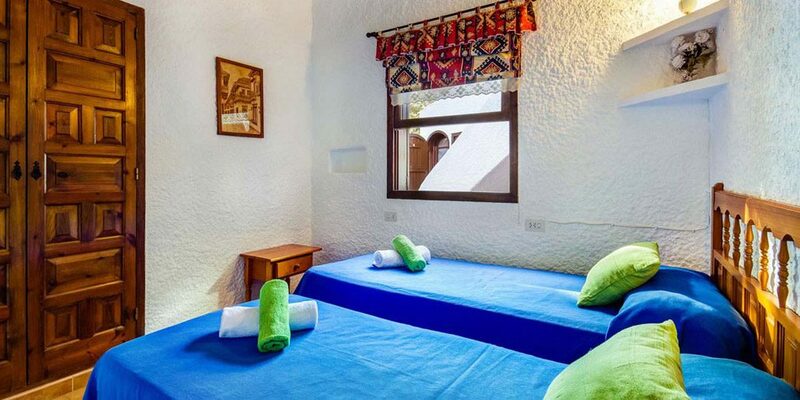 They include all cleaning and villa preparation costs, bed linens and bath towels and, for rentals of 14 nights and beyond, an interim clean and linen change.